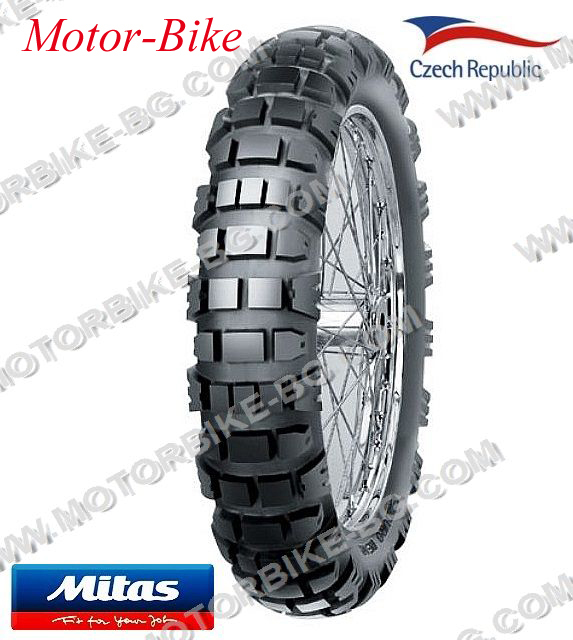 | Гуми / Tires, tubes | Мотоциклетни и скутерни гуми външни / Motorcycle, scooter tires | Мото гуми външни 18 ЦОЛА / 18"
High level of traction in all types of terrain, perfect for powering out of corners or climbing steep hills. 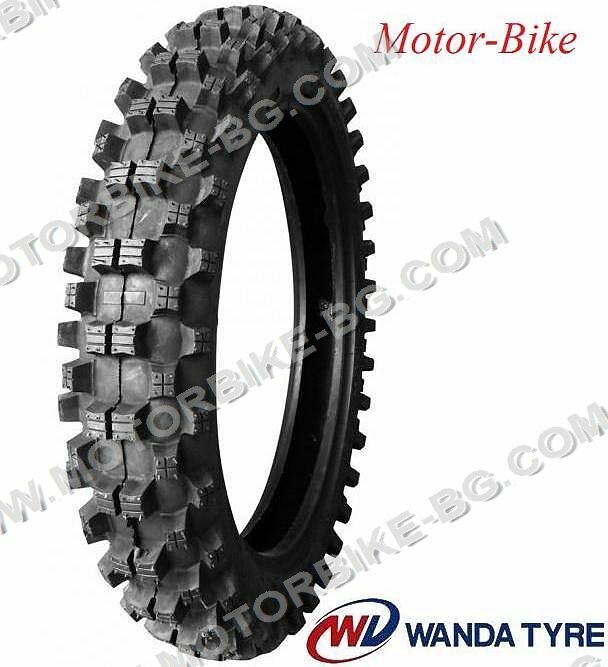 Features aggressive tread pattern for motocross. 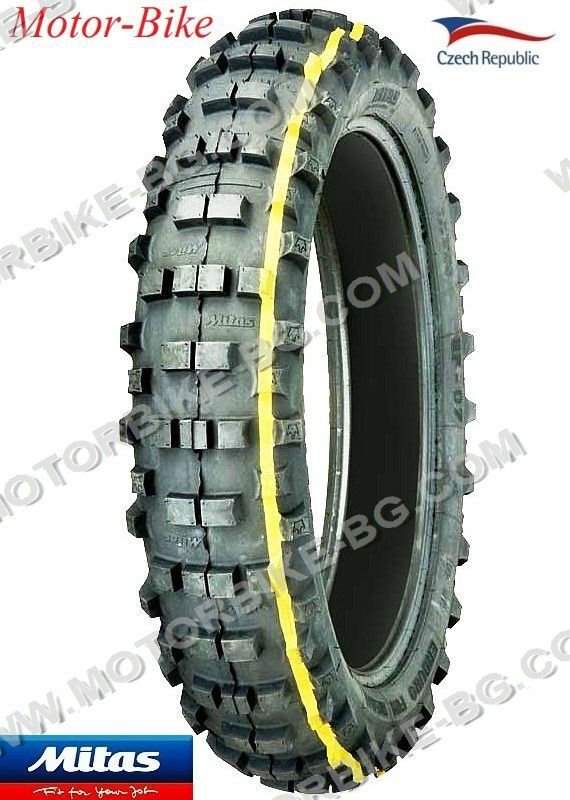 YELLOW stripe - tyres with softer compound suitable for enduro FIM and cross country competition. 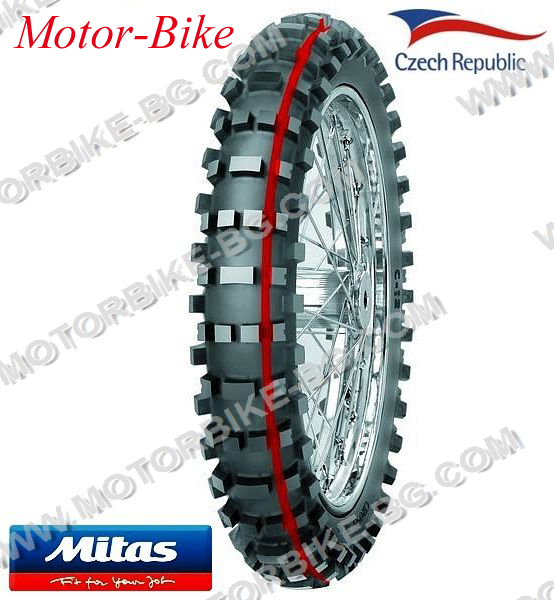 Modern type of tread pattern for both front and rear wheels of enduro motorcycles. 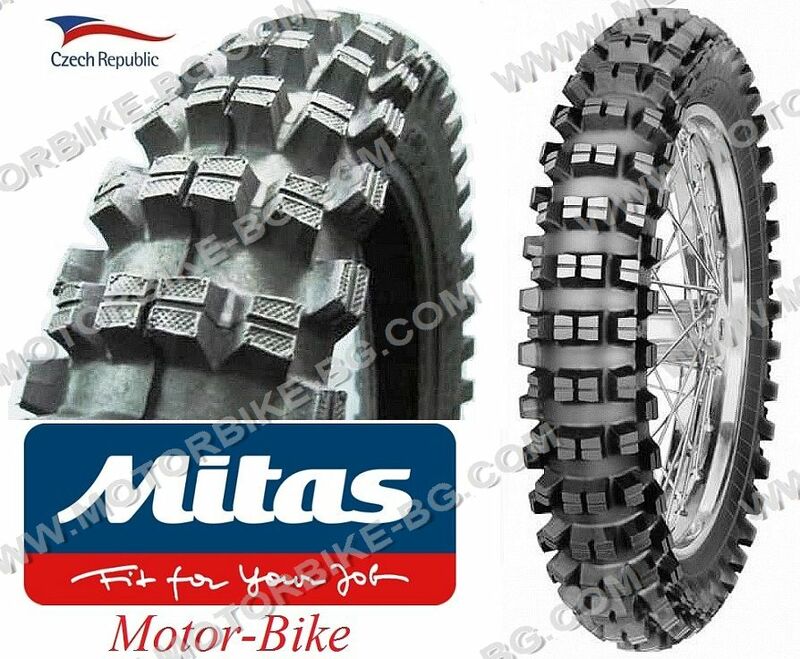 Very good riding properties both on the road as well as in the medium terrain. 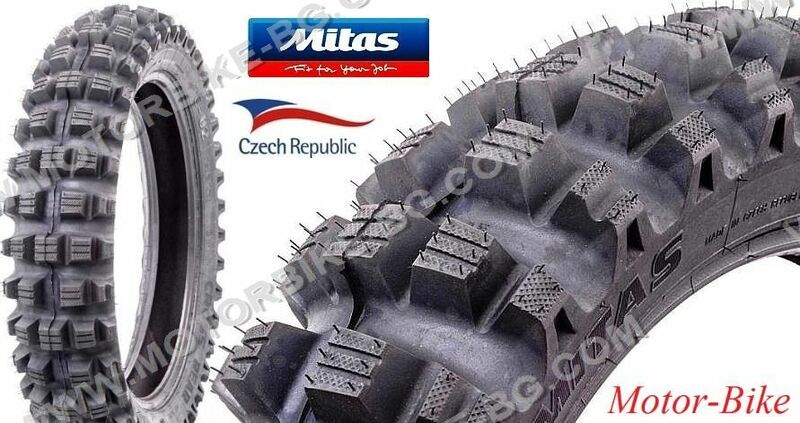 80% OFF ROAD, 20% ROAD. 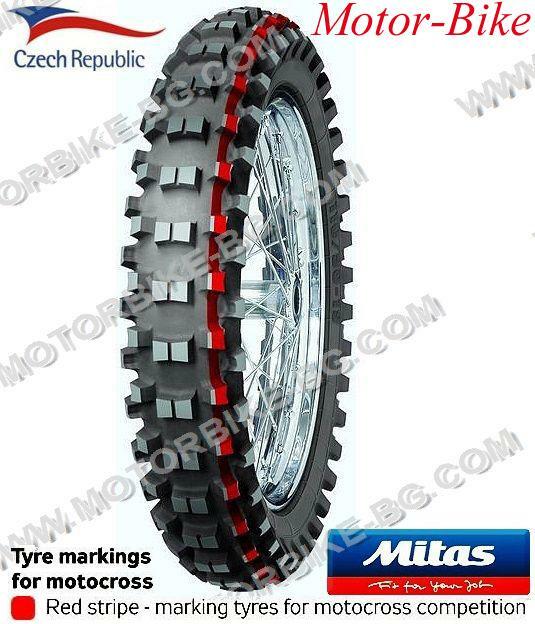 Red stripe - marking tyres for motocross competition. 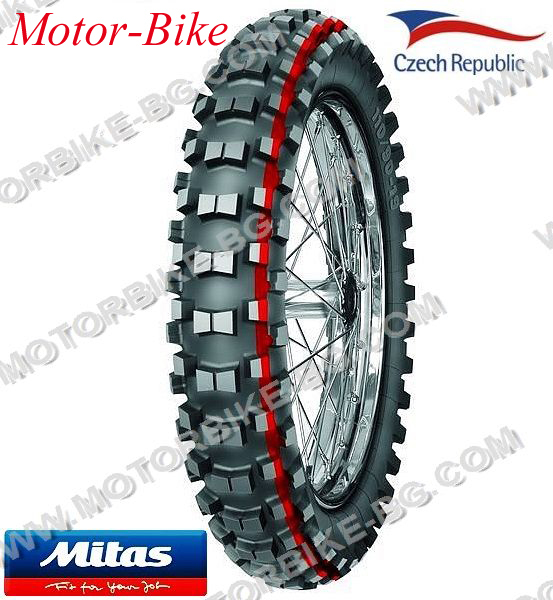 A rear motocross tyre for semi-soft to semi-hard terrains. 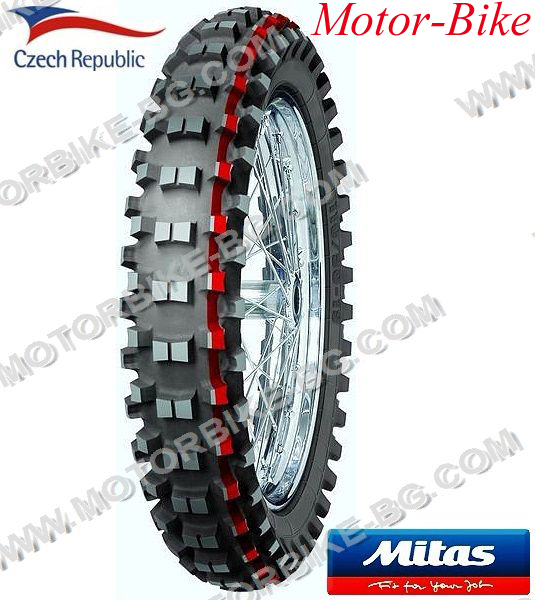 Its tread pattern offers optimal riding properties in all conditions of use.